Chris and I enjoyed sharing a delicious holiday meal at my parents house. Mom out-did herself making so many delicious dishes for us to eat. 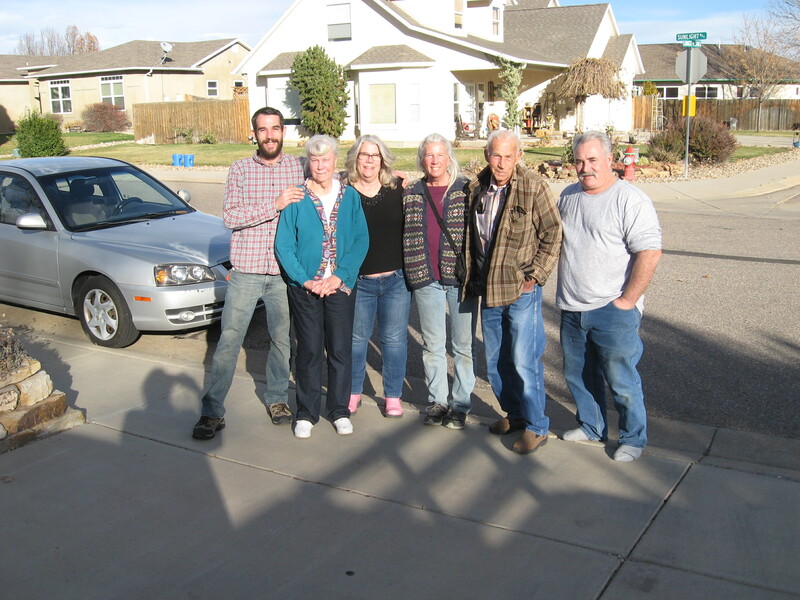 My sister, Cindi, her husband Rod and son Tucker, came down from Strausburg and we had a good visiting time. This is the time when the deer are mating for next year’s crop of fawns. The bucks have one thing on their mind and it’s not eating grass! They are intentful, persistent and focused. The does seem annoyed that they must tolerate all this extra attention and this year’s crop of fawns are just simply bewildered by it all and trying to stay out-of-the-way. Today, there have been several very large bucks, a number of younger smaller bucks courting the does here on the farm. Traffic has been stopping all day long in front of the farm to watch the activities and admire these handsome bucks. 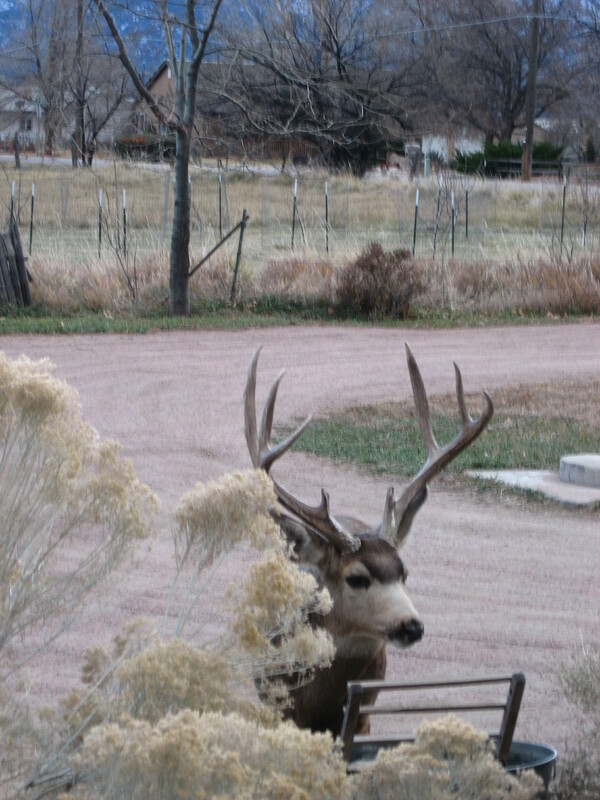 This buck took time out to get a drink in the deer drinking trough we keep filled with fresh water next to our south bird yard. I was about 20 feet away on the back porch, sharing conversation with this fellow, and getting some great photos. Most of these deer have been here their whole lives and they’ve known us since they were fawns themselves. Although, I wouldn’t test their manners during their hormone raging mating season, most of the time they ignore us and we ignore them and we all co-exist here quite nicely moving in and around each other without any problems. During mating season, I give them some extra space because they don’t pay attention to anything right now except chasing the does. He’s pretty handsome, don’t you think so? 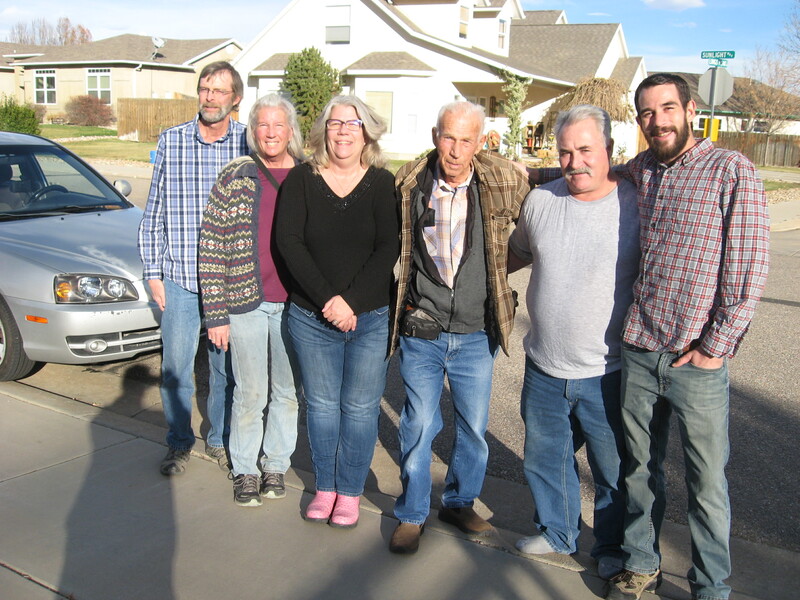 Yesterday, we took an afternoon walk to the cowboy cabin and along the way I picked up some ponderosa pine needles. 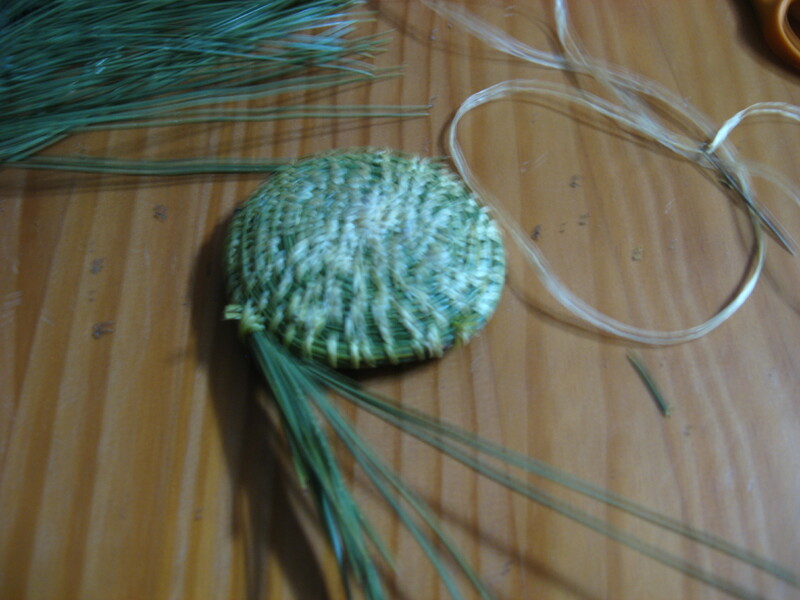 Ponderosa trees have pretty long needles and they are good for making into baskets. We got home around 4pm and I started the process of creating a small basket. This is the outside bottom of the basket. This is how the inside of the basket looks as I’m working on it. 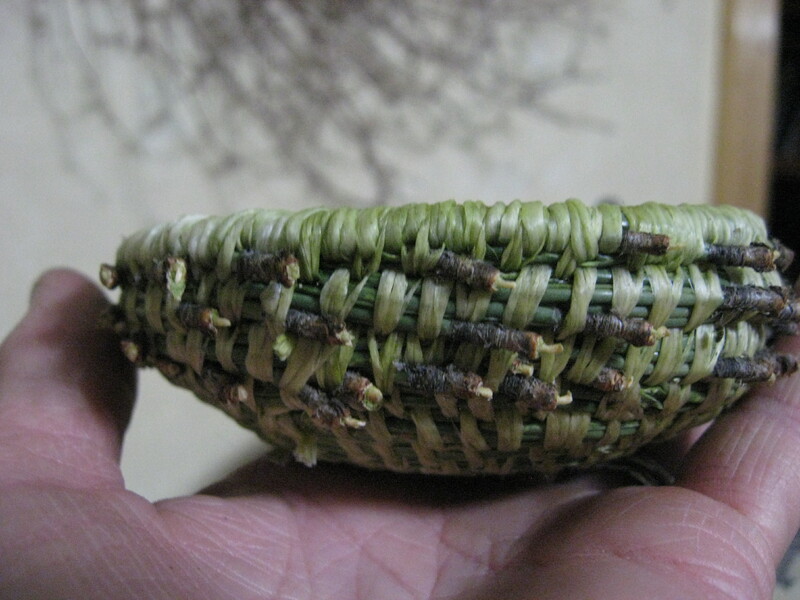 By 9:30pm I had finished a very small pine needle basket. It is about 4″ in diameter at the top edge and about 3″ deep, so it’s tiny, but it is the perfect size for a little basket for Chris’ birthday. 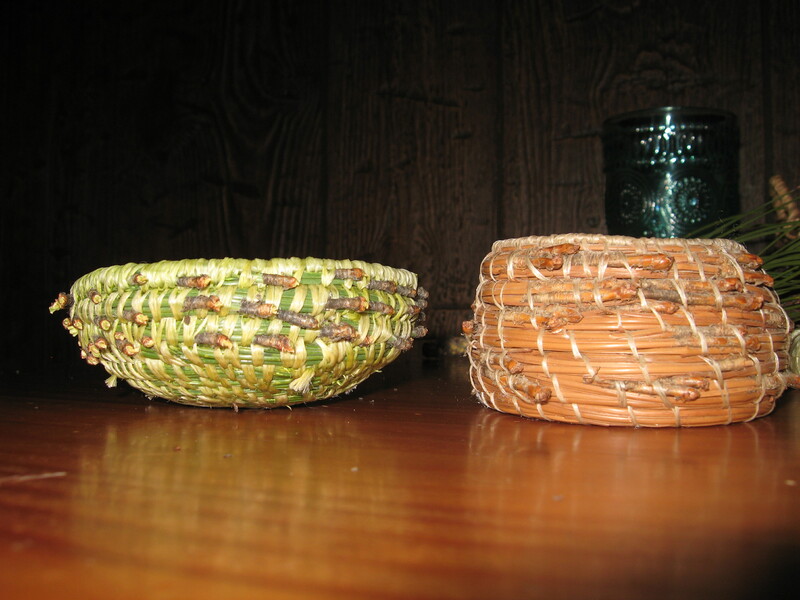 Here is the same basket (with green needles) and the first pine needle basket I made about 20 years ago. As the needles dry on this new basket, it will eventually turn brown in color too. 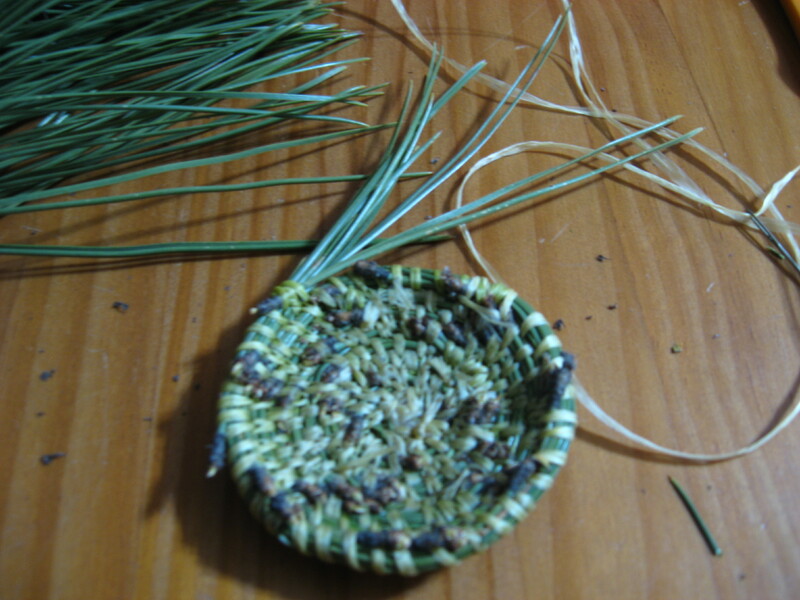 I have enough needles left from my foraging walk to make another basket about twice the size as the one I made last night. It will probably take me around 10-12 hours to make that one I’m figuring. I had hoped to start it today, but my fingers were too sore from working on the little basket I made last night, so I’ll wait a couple of days before I start the next one.